As Michigan nursing home abuse and neglect lawyers, we constantly strive to provide the highest standard of legal representation for our clients. 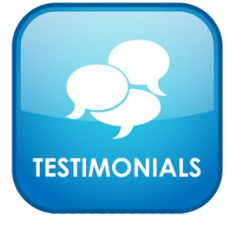 Below you will find what actual people we have represented had to say about their experience with us. Find out why Buckfire & Buckfire, P.C. is the most trusted personal injury law firm in Michigan! If someone you love has been mistreated in a Michigan nursing home, you do have legal rights to compensation. Call our award winning lawyers today at (800) 606-1717 and we will listen to your story and determine your best course of action. The phone call is always free. There is nothing to lose, so call us today! Client: Danny Williams Attorney: Randall Blau Case Type: Nursing Home What Our Nursing Home Client Said About Us In 2013 my father had a bed sore from a nursing home and I contacted Buckfire & Buckfire. Randy Blau was the attorney that handled my case. He answered my calls and emails when I had questions and we settled our case for $125,000. Thanks Buckfire & Buckfire. Sincerely, Danny Williams Detroit, Mich. Free Guide for Michigan Nursing Home Lawsuits The Ultimate Michigan Nursing Home Abuse & Neglect Handbook details everything you need to know to choose your lawyer and file your lawsuit, and it is all explained in plain English. The book sells on Amazon.com for $14.95, however, if you request a copy through Buckfire & Buckfire, P.C. we will send it to you absolutely free of charge. Our free guide explains the Michigan nursing home laws in easy-to-understand language. You will eliminate hours of stress, confusion, and uncertainty simply by reading this book. Best Michigan Nursing Home Lawyers Our legal team includes the most successful nursing home attorneys in Michigan. Buckfire & Buckfire, P.C. and our lawyers have won the top awards in the legal profession, including: U.S. News & World Report Best Law Firms "Best Michigan Personal Injury Attorney" by American Lawyer Academy Named Top 100 Trial Lawyers in Michigan Honored as "Super Lawyers Top Martindale-Hubbell Rating (AV) for Skill & Integrity Our No-Fee Promise on Michigan Nursing Home Cases You can afford to have the best nursing home law firm on your side. It costs nothing to get started and if your case is unsuccessful for any reason, you owe us nothing. We promise you in writing: No money to get started We pay all case costs and expenses No legal fees whatsoever unless you receive a settlement Phone calls are always free, forever Start Your Michigan Nursing Home Case Today There are three ways to get started on your case. You can: Free Case Review Box on this page. We will contact you shortly. Chat with the online intake specialist and an attorney will be in touch soon. Call (888) 797-8787 any time of day to tell us about your case. Warning: There are strict time deadlines for filing Michigan nursing home lawsuits. Call us now to get started on your case and help you win the maximum settlement. I would highly recommend Buckfire & Buckfire, P.C. to anyone seeking counsel. The firm will be sure to provide a professional experience that will vindicate your unfortunate circumstance. As everyone knows, it is never easy to lose a loved one. It is even more difficult to lose a loved one due to someone else's negligence. We lost my grandfather as a result of an injury he sustained from an accident in a skilled nursing rehabilitation center he was a patient in. We found Buckfire & Buckfire from a television ad and sent away for their literature. I then called the firm and soon after met with Larry Buckfire personally, not an intern or assistant. Larry was very attentive, concerned, and compassionate regarding our loss. He spent a considerable amount of time with me discussing the situation and subsequently did so throughout his handling of the case. Mr. Buckfire always kept the family informed of what transpired as the case developed. Larry was like another member of the family in that he championed our cause until a settlement was reached. Additonally, Buckfire Law's support staff were always very professional and friendly as well. I would highly recommend Buckfire & Buckfire to anyone seeking counsel. The firm will be sure to provide a professional experience that will vindicate your unfortunate circumstance. "God bless you and your family; may he always keep you safe. Thank you again from my heart." I just wanted to thank you from my family to you for doing such a great job on my lawsuit, for being patient, understanding, and for digging and finding out the truth. That really means a lot to us that you never gave up. I'm glad it is finally over and we all know the truth. I will update you often and let you know how my brother is doing. I could not have done it without you and your help. God bless you and your family; may he always keep you safe. Thank you again from my heart. Randy Blau and the staff at Buckfire and Buckfire handled my case with care, compassion, and professionalism. They patiently walked me through every step in the process, and made the interests of my family their priority. As a result, we achieved a large settlement - an outcome that would have been impossible without their help. I have recommended the Buckfire firm to friends, and so without reservation. I had a great experience working with Buckfire & Buckfire and it was our first time working with a law office. The staff was very helpful, efficient and quick to answer questions. Randy Blau was our lawyer and did a fabulous job. He was very professional and made sure we understood everything. He was quick to return phone calls and email. We were very impressed with the turnaround time it took for our case. Thanks B&B. I would highly recommend attorney Lawrence J. Buckfire to anyone considering a nursing home neglect or nursing home abuse case in Michigan. We could not be more pleased with Mr. Buckfire or his law firm. Nursing home neglect lawyer, Randy Blau, was an absolute wonderful speaker and provided the group with a wealth of valuable information on Michigan nursing home neglect and abuse. I would highly recommend anyone who has lost a loved one or suffered injuries due to medical malpractice or nursing home neglect in Michigan to hire Buckfire & Buckfire as their law firm. They have earned my highest possible rating for their quality or representation and legal ability.